Colorado-based Ascent Solar Technologies (NASDAQ: ASTI) — the makers of flexible, thin film modules under the brand name WaveSol — scored a distribution deal with Cyprus-based SW Solarwatt Ltd. the companies announced today. 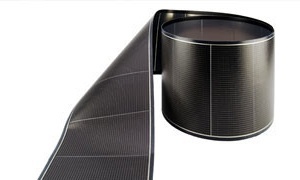 The news follows another distribution deal for Ascent Solar, with Polymer Sun a company that will resell its thin film products to solar power systems installers in Singapore and Malaysia. Government support for the development of solar power systems and business looks strong in both markets. Greek Prime Minister George Papandreou frequently touts clean energy developments — like a recently proposed 200 megawatt (MW) capacity solar park that will cost some 600 million euros (more than $800 million) to build atop a spent coal mine — as a way to create jobs, and alleviate pollution in the debt and unemployment burdened country. Greece has lagged behind Spain and Italy in developing photovoltaic installations in spite of offering subsidies for renewables investments, because of long drawn-out licensing procedures. Ascent Solar did not respond immediately to questions about the potential revenue growth from its two, new distributor deals.